For all of us who are selling value more than price, it is always discouraging to hear: “Look, it’s just too expensive for me …” before you even get started with the conversation. And we’re often selling products and services that are highly technical, customizable, innovative … the very kinds of products that the naive might consider immune to price pressure. So that’s why this little story about a zipper manufacturer in Slate magazine caught my eye. 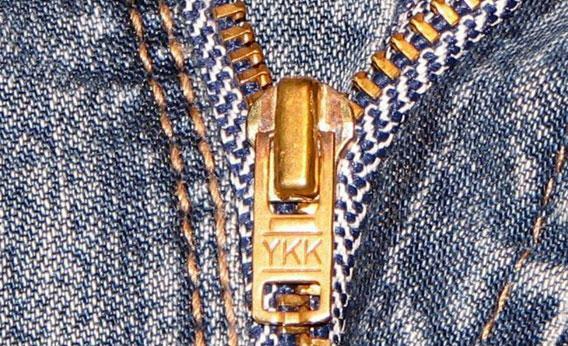 Now perhaps the folks at YKK didn’t intentionally set out to create a value position. Perhaps they just had the discipline to stick to their high quality standards, their efforts to reduce costs and their resistance to discounting … for decades. But it does demonstrate yet again that even products that might seem to be commodities can be differentiated and avoid the pressure for price-matching. The key is that their customers believe that there is a difference … and that the difference matters. First, you must have a real competitive advantage, something that matters to your customer and actually reduces their costs or reduces their risk or improves their ability to sell products. Second, you need to be able to tell the story of why and how your advantage helps people. Third, your customers must see the value. The Value Merchants, a book by J. Anderson, N. Kumar, J. Narus, Harvard Business School Press, 2007. Has anyone asked you the hard question yet? In tough times, we are often asked, What are we doing about it? Sales Managers especially will be asked this as soon as revenues start to slip below forecast. My advice is this: have an answer. The expectation behind the question is that you already have been thinking and planning and that you have some ideas even in the face of unforeseen, unprecedented difficulties. If the person asking is your boss, it means that your bosss boss and all those up the chain to the board of directors are also asking (or soon will be asking). So dont let the uncertainty overwhelm you. Instead sit down with pencil and paper, perhaps with a close circle of advisors, and generate an idea list. Brainstorm freely, without critique, rejecting no idea at this stage. The world has changed, so take the opportunity to think outside the box. Once you have a list, then spend some time thinking and evaluating (but dont get stuck there). First make sure your ideas are not harmful. Resist the urge to slash prices. Instead, make small investments with the resources you have. For example, run a contest with prizes, enlist others in the organization in part-time sales work or networking, give something away, launch a new educational seminar program, implement a new customer satisfaction survey, implement training or a coaching program. Look for things that bring more people into contact with more customers, more frequently. Look for things that improve skills or productivity. Everyone in the organization wants to help, so enlist them. Everyone is willing to work harder and longer in tough times if they understand the purpose and how it will help. Dont forget to look for things to stop doing; this is great time to get rid of administrative work that is benefiting too few stakeholders. Move meetings into early morning or weekends or cancel them altogether. the ones who never seem to analyze anything. Try to have a new pilot project ready to implement with a different group of people every month. And when you go to your management meetings, be prepared to present the ideas youve tried, how they worked or didnt, what you learned and what new things are coming next. Avoid at all costs saying, Well, weve tried everything and were running out of ideas. Thats the signal that the company needs someone who has more ideas that you do. You will likely find that some of your programs didnt do what you expected, but they had other good results that you didnt foresee. Publicize those! Improving morale is critically important in tough times. On the other hand, you may just find something that works, something that everyone should be doing. If so, quickly turn that pilot program into a training and implementation program. Make celebrities out of the pilot team and get them to help everyone else get rolling. Youll also find that some people get results with a new program and some dont. Some are reluctant to try and some are unable to adapt to a new environment. Identifying performance problems quickly is another valuable outcome in a challenging time. Everyone seems to be fascinated by the economy and how to manage a business when all the predictions seem dismal. Depending on your industry this may be a time when you find yourself really scrambling to keep up, or you could find yourself with time on your hands as things just slow down. Its important to spend your time doing productive things and not just in frantic activity. Sometimes the best outcome of tough times is that you are primed and ready when things start to turn around. Two areas worth your investment are process improvement and skills improvement. Both will pay dividend in the near- and long-term. Remember that when funding is tight, your lead generation vehicles will generate fewer productive leads, because fewer people have the funding and permissions they need. Given that situation, this is a good time to look at your lead management process and ask how you can improve it. How can you filter out the curious and focus on the funded? Could you provide a downloadable presentation or white paper for the curious and ask them to self-qualify? Another good use of your time is skills improvement or sharpening the saw, as Stephen Covey would say. Invest some time in training to sharpen your teams questioning and listening skills. Those skills will help you to understand the predicaments that your customers are in and give them both good advice and good solutions. Improving the skills of your sales team to generate more business is a lot less costly than expanding the team. If you dont have an internal training team, then hire a trainer for a sales process or sales skills workshop. I’d love to help you with it or to recommend others. And if you cant afford a trainer then, at least buy everyone a book and go through it together. There are some sales book suggestions at this link. Be sure to offer it in both paper and audio formats; look for video as well. Hold regular discussion sessions and apply the lessons to your business. Ask someone to formulate discussion questions from the book. Assign someone else to prepare presentation slides with graphic illustrations. Ask people to try out the new ideas and report back. Create a game or a contest. Different people learn differently, so try to engage all the senses. Tough times come to everyone sooner or later. When they do come, invest the time wisely to keep your team motivated and to learn the lessons that will help you be at the head of the pack when recovery begins. and from the bottom up. or that management just lost interest. Somehow the focus and the accountability are lost. The motivational power of a team bringing results to the table and saying heres what Ive accomplished is no longer available. And sometimes I hear the philosophy of I dont need reports; all I need are the results. There are situations where that approach works well, but they are few. For the more complex technology sale, the sales cycle is long enough that we need some early indicator of how things are going, so that we can adjust our tactics before it is too late. Ask for the report weekly in an informal, convenient way. Respond to each person when they report their results. Send out a ranked list of the top producers each week, leaving the bottom performers off. For those who are having trouble, find out why and offer to provide help. Ask those who excel to share their approaches with everyone else, rewarding them with recognition. If you are a manager of managers, then ask each of your reports to summarize the information coming from their team. And if you are fortunate enough to have a working CRM system, you can do all this more easily “in the system”. and which ones are just lucky. some organizations declare a new focus each quarter. Youll learn new lessons each time, and take progressive steps to toward making yours a team of top performers. Ive seen it work many times and it can work for you, too. If you could use some help in setting this up then, just give us a call. Life Scientists Perspectives. I was intrigued with the findings as they relate to sales force effectiveness in the life science industry and you may be as well. The analysts gathered data from researchers in the life sciences about their perceptions of effective sales people and what they wanted from them. These researchers gave very clear responses about what they want from sales people, which we can use in hiring, training and marketing program design. What these customers want is pretty straightforward: they want demonstrations, training, troubleshooting, advice, and individualized pricing. So whats a sales person to do about this when he or she needs to grow existing business, launch new products and fight off the competition? give a demonstration or seminar showcasing a new technique, and along with it showcase established products. Use giveaway reminders for older products that are difficult to include in technical conversations. troubleshoot customers problems; bring in an expert by phone or in person if needed. While you are engaged, asked questions about the direction of their research, other products they are using, problems they have encountered. connect with your technical service department to find out what your customers are calling about and the advice that is being given. Help to spread the word among your contacts. give excellent advice: understand the work your customers are doing and the problems they have; understand all the available products and services and be able to fit the best solution to each persons specific need. use pricing discussions to find out how much customers buy in various categories and why they have chosen a particular approach. Find out what competitors are established in the lab. Ask for information and uncover opportunity during the process. assign someone other than a sales person to do the quotation paperwork, and have the sales person focus on handling the customer interface. Dont send customers to a website or a customer service agent for pricing; keep the salesperson in the chain of communication. How can managers help sales people stay on the path of meeting these customer needs? First, we need to make sure we hire the kind of people who can be trained to give demonstrations, troubleshoot problems, and give valuable advice on product selection. Next, we can use our creativity to find ways to develop demonstrations and training seminars for products. Putting together a kit with all the needed materials goes a long way toward helping people implement. Next, we need to train people to understand both the technical background and the communication skills needed to deliver the information. Train them also on the connections between new and existing products; show them how it all fits together. And as you send them out to implement, dont forget to ask everyone to report regularly on their success. If each sales person reports to their manager, and then each manager summarizes and reports in turn to their director at the end of every week, it becomes very clear to everyone what the organization wants to see. Out of this process will come the success stories that provide fine-tuning to the strategy and encouragement to those who are struggling. Zig Ziglar is famous for saying that the more you give people what they really want, the more they will give you what you really want. In order to give customers what they really want, we need to develop a plan, train the people and then implement the plan! If we can help with you with this in your organization, just let us know.